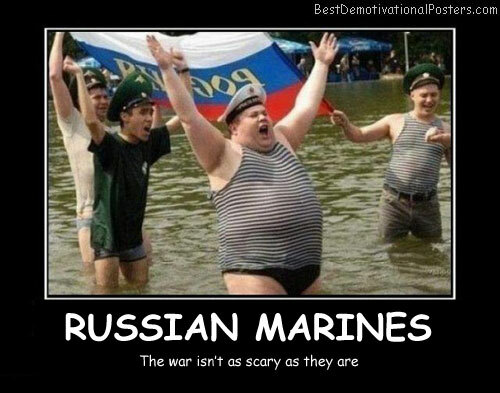 Russian Marines - The war isn't as scary as they are. 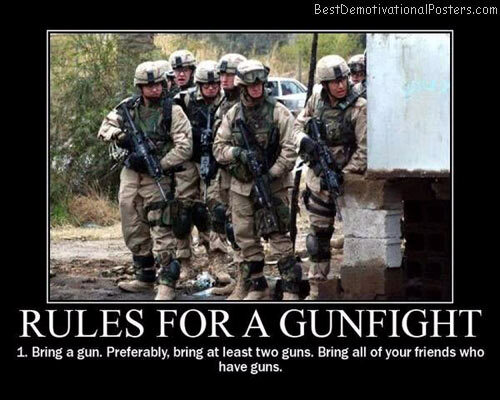 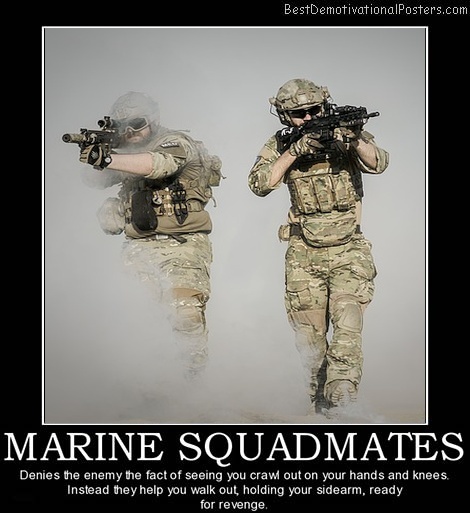 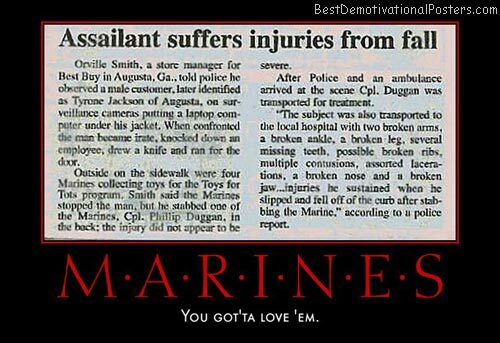 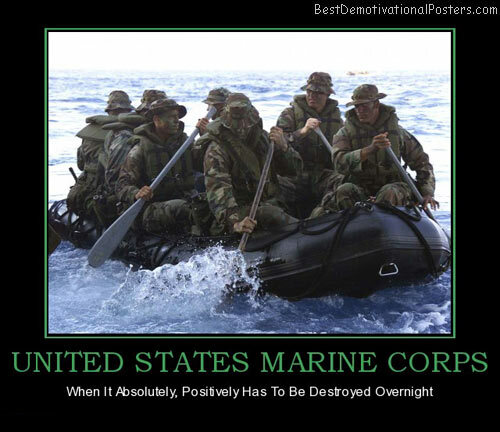 Marines - You got'ta love'em. 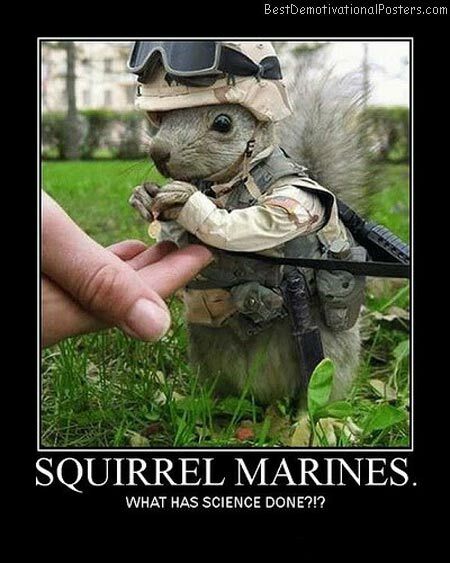 Squirrel Marines - What has science done? 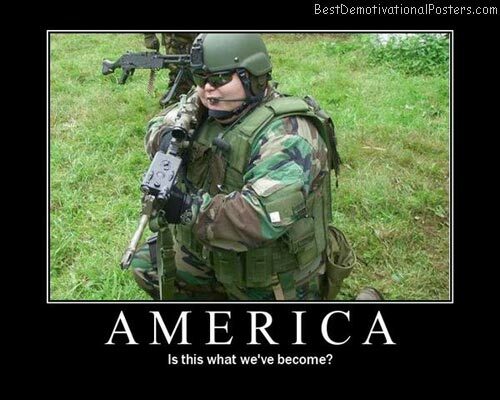 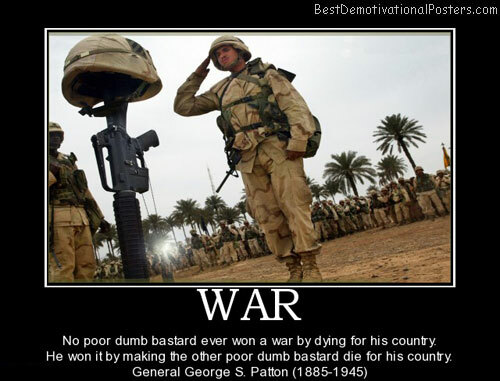 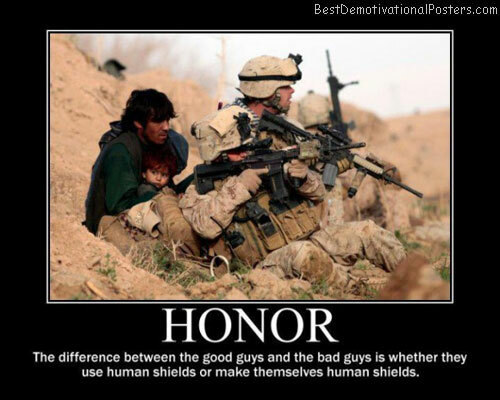 American Marines - Is this what we've become ? 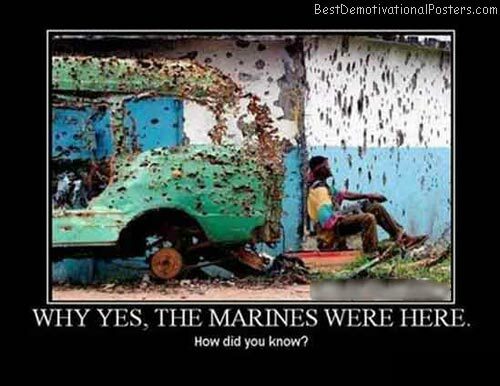 Why Yes, The Marines Were Here - How did you know? 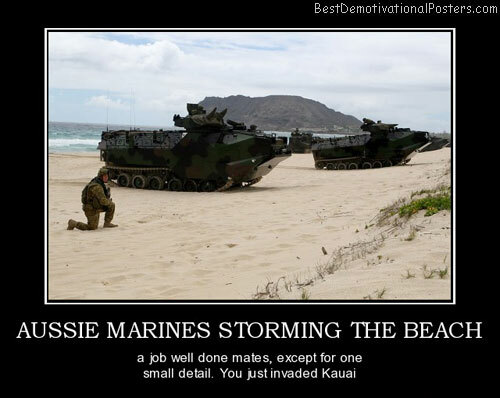 Aussie Marines Storming The Beach - a job well done mates, except for one small detail.